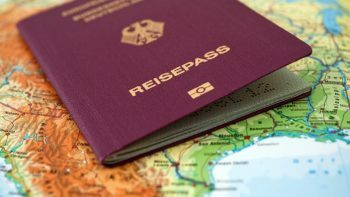 Getting German Citizenship is one of the top questions we get so we have decided to summarize the information for those who are willing to get started. The German Foreign Office quite ominously warns on its website that “German citizenship law is relatively complicated” and that they can only answer “the issues which currently dominate the inquiries”. 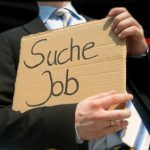 Becoming a German will probably mean renouncing your current citizenship, but there’s also the option to gain permanent residency. Find out what works for you. What does it mean to have German Citizenship? When you are living in Germany only as a permanent resident, you do not qualify as a citizen of Germany. This puts some restrictions in your status, and that is why so many permanent residents of Germany seek to get citizenship. The right to become a civil servant, etc. Besides the rights as per the German constitution, you will also have the obligations and duties that each German citizen has. This includes the integration in society, respect for and obedience of all laws, and even German military service. Becoming a German citizen is not possible under all circumstances. 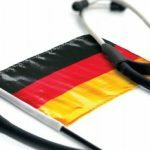 There are three general instances that can lead to you getting German citizenship. Getting citizenship by naturalization implies that you have fulfilled certain requirements that the German government has set and you qualify to apply for German citizenship. The other type, by right of blood or Jus Sanguinis means that you get German citizenship if you are a direct descendant of German citizens. This includes only your parents and no other relatives. By right of soil or Jus Soli means that you are born within the borders of Germany, so in German soil and that is how you get your citizenship. All people with the exception of EU, EEA, or Swiss nationals, must fulfill requirements and fall into one of these categories for getting German citizenship. Despite these three instances being quite straightforward, each one of them has its own rules and regulations, which we will discuss further. German naturalization means that after a certain period of living in Germany as a permanent resident, you apply to become a citizen. There are many restrictions and requirements for obtaining naturalization, so not everyone can get it. Your residence records are in the government system so that will be an easy requirement to fulfill. For financial stability, you can submit bank statements and other documents, which state your financial situation. In addition, you must give up all previous citizenships, except if the other country does not allow it or it is impossible to give it up. This is the case with many countries in conflict, such as Syria. If you do not have any document, which proves your language proficiency, you can complete a government language test administered by your citizenship authority. Either way, you must know German in order to be eligible for naturalization or any other type of German citizenship. 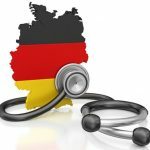 How to apply for German Citizenship Naturalization? Fill the application form and start compiling a file with all documents, which prove you meet the requirements. To prove that you are ready to gain German citizenship, you must pass the citizenship test. 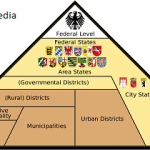 This test includes 33 multiple choice questions on German living, society, rules, and laws, as well as questions specific to the place you live. The test takes one hour and you must answer at least 17 questions correctly to pass the test. When you pass the test, you will get a naturalization certificate, which you can add to your document file. To prepare for the test, you can take an integration course, use the practice test options of the Federal Office for Migration and Refugees, or simply read more information on German life and laws. The German citizenship test costs EUR 25, and the local naturalization office in your area can tell you where your nearest test center is so you can register. You need to bring a form of ID on the test day. Take the documents which prove you meet naturalization requirements, your application form, the receipts that you have paid all fees, and your naturalization certificate to the office from which you have taken the application form. The officers will go through your case and if approved, you will get the citizenship certificate. The certificate now proves that you are a citizen of Germany and not just a permanent resident. People who qualify for naturalization are not only those who have had permanent residence in Germany for a specified period of time. If you marry a German citizen you can also get citizenship by applying for naturalization. Foreign nationals who are already married to a German national must still meet all naturalization requirements and pass the test. However, they should also meet the marriage requirements. This means that the foreign national spouse cannot apply for naturalization unless, the couple has been married for at least two years and have lived in Germany for at least three years. The second type of German citizenship is by right of blood or Jus Sanguinis. This means that you have at least one German parent and it does not take into account whether you were born in Germany or not. You get the German citizenship by descent if your parents register you to the German authorities in the country you are born before you turn one year old. 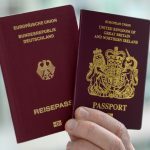 If your parents have different nationalities, you get the German citizenship; however, between the ages of 18 and 23 years old, you will have 5 years to decide which nationality you want to retain. In addition, if your parents are divorced, then you can get German citizenship by descent only if your parent recognizes you as their legal child by the rules of German law. You cannot get German citizenship if you were born in a foreign country and your German parents were also born in a foreign country after January 1st, 2000. This rule can be surpassed only if you as the child would be stateless if the German authorities did not accept you and give you a German citizenship. In addition, you cannot claim German citizenship through any other ancestors except your parents, including German citizenship through grandparents. 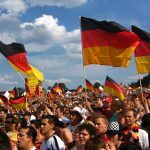 Another instance where you can get German citizenship through ancestry is if you were adopted by German citizens as a child under 18 years old. In getting this type of citizenship, the child will again have to choose the citizenship of the parents or the citizenship of Germany between the ages of 18 and 23 years old. 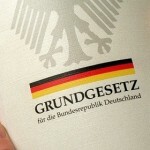 The child must give up the nationalities of the parents in order to get the German one, or apply for dual citizenship. Only children born after February 2nd, 1990, have the right to get this type of citizenship.